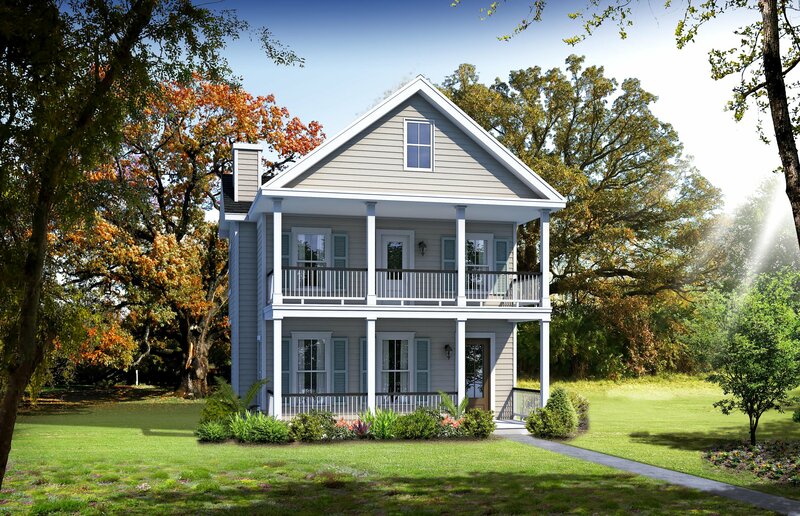 This very popular Ashley floor plan features a double front porch with all bedrooms located upstairs. Downstairs mimics a Charleston single with the gathering room in the front of the home and the adjoining dining room located towards the rear of the home. Enjoy entertaining in this home with a spectacular kitchen boasting upgraded appliances, a counter/bar area and an eat in breakfast nook. This home also provides many more upgrades, a 2-10 home warranty, and a fully sodded and landscaped yard.